If like me you would ideally like your Mac to be running the latest system you might have been disappointed if your Mac can’t run Mojave. I have said elsewhere that the previous Mac OS High Sierra isn’t a bad system and will still get security updates. So it isn’t a disaster. But if you still feel you have been frozen-out by Apple, don’t give up. You can install Mojave on an unsupported Mac. 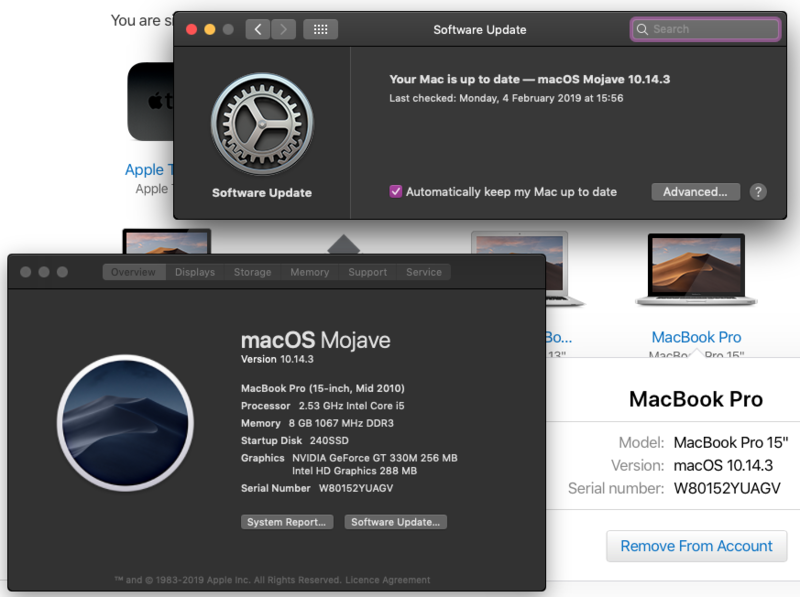 Making sure you have got an up-to-date backup of your Mac in Time Machine, consider trying Mojave Patcher. Mojave Patcher allows you to create a custom Mojave installer disk for installing Mojave on a unsupported Mac. It is available here. There is also a list of Macs that it works with, so check that out first. It includes a list of known bugs, which is not necessarily complete (see below regarding my own experience). I have used Mojave Patcher to try and install Mojave on a mid 2010 MacBook Pro and a mid 2011 MacMini. My MacBook Pro is defined by Apple as being ‘obsolete’. It is no slouch though, and it has a beautiful big screen and the sort of tactile, responsive keyboard that has been all but lost on the latest flat models. Saying that, compared to these slim devices, it is a big slab of heavy metal. I wouldn’t want to carry it far. I think of it more as a portable desktop than a laptop. Anyway, you can’t install Mojave on it via the App Store. Simply downloading the Mojave installer on another Mac and trying it out on the MacBook won’t work either. But running the Mojave Patcher on a USB disk and booting from that did allow installation. The installation process differs from that on a supported Mac. You have to boot from the install disk instead of running the installer as an app. And then, once installed, you have to boot from the installer disk a 2nd time, to run the patcher app. This further modifies the installation on your hard disk, putting in legacy drivers to make it work. By the way, prior to installation, the Mojave Patcher enables you to download the Mojave installer app, using your unsupported Mac, directly from Apple. The App Store would otherwise refuse. The magic solution to this artefact is to take my glasses off. Mojave runs smoothly on my obsolete Mac. In dark mode it is almost perfect, with the only issue I have being a slight blockiness to some of the rounded corners of some windows. The grey sidebar is fine until you select the window. In light mode it is not so perfect. 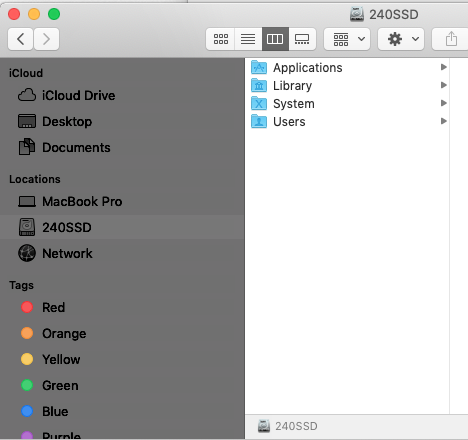 As well as the corner artefacts, there is a darkening of the Finder sidebar and menubar that makes them difficult to read. Otherwise, I see no difference between my obsolete MacBook Pro and my MacBook Air that runs Mojave with no assistance. My mid 2011 Mac Mini is defined by Apple as ‘vintage’ rather than ‘obsolete’. It has 16 GB RAM, 1TB hard disk, and an i5 processor. So it is a good workstation, though now disowned by Apple. But, again, Mojave installed via the Mojave Patcher. The graphics card in the Mac Mini is decent (Radeon HD 6630M with 256 MB of GDDR5 SDRAM), but clearly not one that runs Metal, the graphics technology that Mojave relies on. Unfortunately, the legacy driver that the patcher substitutes could not make up for this, though it did fine for the MacBook. The result was that the colours on screen became weirdly inverted – blues went orange, greens went red, and vice versa. It wasn’t truly inverted because light did not go dark, or dark go light. I tried a solution that works when something like this happens on a second monitor, but disappointingly it didn’t work on the Mac Mini. (https://embdev.net/topic/284710). I didn’t have time to persist, as the Mac Mini is my main office desktop these days. So I had to revert back to High Sierra, which is where the Time Machine backup came in perfectly to restore the Mac to its previous configuration. So I will be sticking with Mojave on my unsupported MacBook Pro. Tonight I will see if it can update to 10.14.3… And my Mac Mini will be just fine running High Sierra. Pleased to report update worked. And the device list on Apple ID website updated too. The patcher works fine with Filevault, so you can encrypt your hard disk. And I have no difficulty with the MacBook in hibernation mode, which I prefer to the default sleep setting.